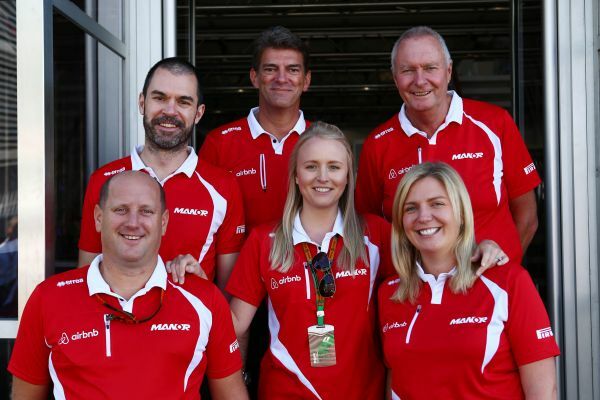 Six members of the Manor Marussia F1 team and their friends are set to compete on a very different kind of race track in Northumberland next month. The 14-strong running team, which includes Manor’s President and Sporting Director, Graeme Lowdon, will be gearing up for pole position in the popular Kielder 10K on Sunday October 4. Billed as ‘Britain’s most beautiful,’ the 10K is part of a full weekend of sporting events, held at Kielder Water & Forest Park on Saturday 3 and Sunday 4 October 2015. Calling themselves ‘Fast Friends’, the group will be raising money for two Newcastle-based children’s charities, The Puffin Appeal and COCO through their fundraising page www.justgiving.com/teams/fastfriends. Graeme, who lives in Corbridge, said: “A lot of us are novice runners and more comfortable behind the wheel so this race is going to be a challenge, but we’re very much looking forward to the day. With a relentless racing schedule in the run up to their weekend at Kielder and then the Russian Grand Prix the weekend after, the Formula 1 team members barely have time for a pit stop. Thousands of people from around the UK and further afield will be taking part in the weekend of events, which is supported by Active Northumberland and includes the 10K, Kielder Run-Bike-Run, Kielder Junior races, Kielder Marathon and new this year, the Kielder Half Marathon. The races start from Northumbrian Water’s Leaplish Waterside Park and follow the Lakeside Way, a trail that stretches right around the shoreline of Kielder Water, northern Europe’s largest man-made lake. Former Olympic athlete and world record holder, Steve Cram, who founded the weekend in 2010, said: "It’s fantastic that those from alternative sporting backgrounds are getting involved.